Dayton, TN — Carter Rekoske a sixteen year old former Rhea County High School basketball players returned home from California recently, where he and his professional teammates live and compete in Clash Royale. 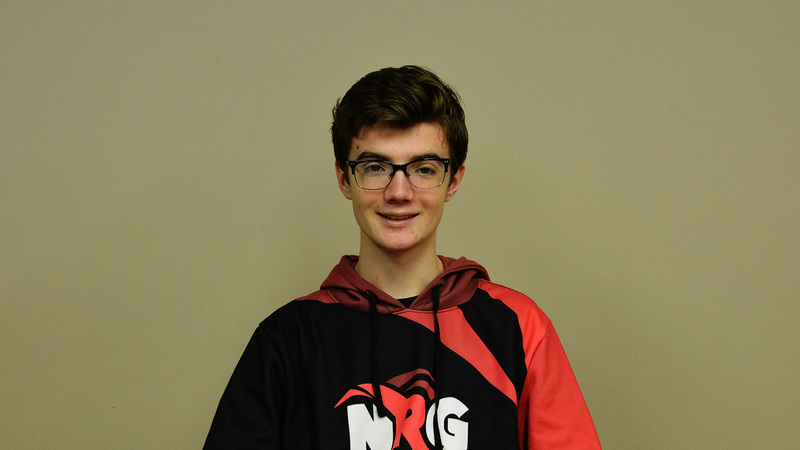 Carter just finished his first nine week season and as his team NRG, did not make the playoffs, Carter had a chance to come home for a couple of months. As always it is great to share the accomplishments of those in the community. A most interesting story of how a normal sixteen year old high school student begins playing a online game on his phone and over a two year period becomes good enough to become a professional player with lucrative contract and chance to win more money than most sixteen year old young man would every think possible. Carter and his family has handled the transition well. Carter had played board games, card games and video games growing up and always enjoyed strategy games. He loved trying to make the move and use the best strategy to win games. After hearing Carter explain the game, I knew I had better stick to checkers. But in essence Carter began playing the game only a few months after its release and is really good at the game. Carter is in top ten win rate in the league of around ten players. Carter is still learning the game and is looking to improve and learn from his mistakes. Carter is the youngest player on the team but age range is from 16 to 22 years of age. The game has a majority of younger players. Carter has no firm knowledge of the future of the league and his involvement. It has to be almost overwhelming for a young man that was just your normal everyday student at Rhea County High School working hard to earn playing time on his high school basketball team. Carter could also earn money by having people follow Carter on Twitch. People can subscribe to their favorite streamer. All the money minus small portion for website goes to players. In Fortnight, some of the top streamers makes a very lucrative income. Though many players have exotic online names, Carter’s online name is Carter. Carter’s playing partners on his team are from Rhode Island, Italy, and India. His coach is from Valenzuela, but moved to Miami when he was young. There are teams all over the world in the league, including India, China, Latin America, and Asia to name a few. This is first season of the league and eventually, the playoffs will end with championships in Japan with a $1 million prize pool. The owner of Clash Royale, Supercell has a $2 billiion revenue stream annually. The championships are a full day event where the top team from each of the regions will compete against Japan’s top team until one is victorious and wins the Golden Crown Trophy. 44 teams participated in the clash royale league this season. Check out Carter’s youtube video below.